My Deep Play Group and I have put together a 2-hour professional development and newsletter focusing on strategies and routines to foster student thinking. 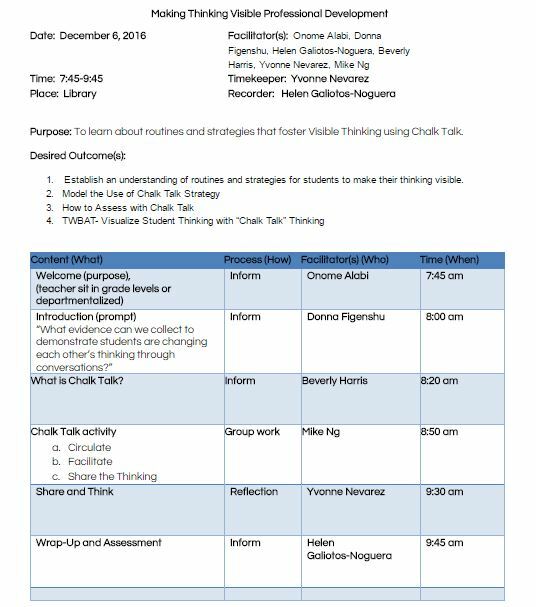 The strategy that we will focus on is Chalk Talk which will serve about 50 teachers. Teachers will experience this strategy during the PD and be able to use this strategy with their students to enhance thinking by making their “Thinking Visible”. My Deep Play Group and I collaborated on the activity for the PD, which then led to the outline of the agenda and ideas to include in the newsletter. I created a PD agenda which helps organize the various parts of the PD, what will be presented, how, by whom, and how much time is spent on each task. The school year began strong and I have already begun to explore Google Classroom and use it in my classroom. This is a great platform to incorporate my flipped classroom videos and where students can share their vocabulary digital portfolios on Google Drive. 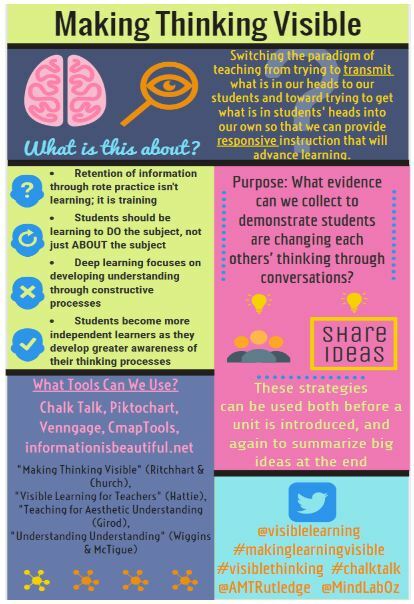 I will begin reading Making Thinking Visual and learn about "thinking routines" through effective questioning, listening, and documentation "to promote engagement, understanding and independence for ALL learners." Our Deep Play Group is focusing on a variety of STEM concepts to be incorporated in our practice this upcoming school year. They are: video creation, modeling/simulation, and augmented reality. My focus this year is on the flipped classroom and digital vocabulary journaling.